The California Horse Racing Board conducted its regular meeting Thursday, April 27, at Santa Anita Park. Chairman Chuck Winner presided. First Vice Chair George Krikorian, Second Vice Chair Madeline Auerbach and Commissioners Jesse Choper and Araceli Ruano also were in attendance. The Board and those in attendance acknowledged the contributions of the late John Van de Kamp, who after serving as Los Angeles County District Attorney and then Attorney General of California served as president of the Thoroughbred Owners of California from 1996 to 2004. The Board approved a request from the California Authority of Racing Fairs (CARF) to run five of the northern fair meets as one combined fair race meet, which among other things will allow for Pick Six carryovers from meet to meet, culminating in Fresno. As allocated, those venues and dates are: Oak Tree at Pleasanton from June 21 through July 11, the State Fair at Cal Expo (July 12-August 1), the Humboldt County Fair in Ferndale (August 25-September 3), CARF with Oak Tree at Pleasanton (September 20-October 3), and the Big Fresno Fair (October 4-17). The Board approved the license for the Oak Tree Racing Association and Alameda County Fair to operate a fair meet in Pleasanton from June 21 through July 11. The Board authorized the Del Mar Thoroughbred Club to distribute a total of $131,198 in race day charity proceeds from its two 2016 meets to eight beneficiaries. The Board renewed the license of OC Tavern in San Clemente as a mini-satellite. OC Tavern has offered wagering on horse racing since 2010. Santa Anita executives reported that attendance has been up slightly at the current meet, while all-source handle is down 4 percent. The Board requested a detailed accounting of the number of racehorses currently stabled within CHRB enclosures along with pertinent information for each. 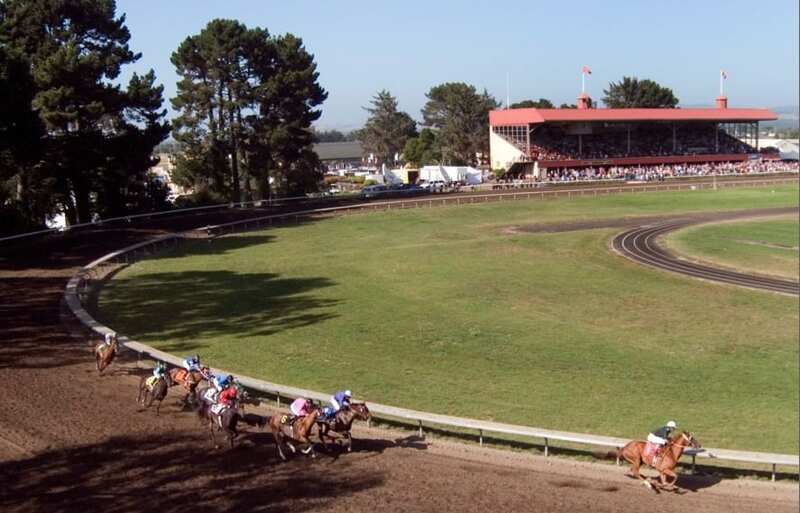 The Board approved a request by Northern California horsemen and racing venues to increase to 2 percent the amount diverted from purses and commissions to fund continued vanning and offsite stabling operations. The Board approved a regulatory amendment giving stewards specific authority to declare horses non-starters when those horses receive unfair starts through no fault of their own. In his Executive Director's Report, Rick Baedeker summarized developments at the recent annual conference of the Association of Racing Commissioners International, including a model rule standardizing veterinarian's lists throughout the country and giving all jurisdictions access to those records through the InCompass System. Jeff True, representing AmTote, reported that ticket jams at California wagering locations have declined by nearly 44 percent since August 2016 but jams are still averaging 1,190 a week. He said many jams are caused by trying to cash soiled, wrinkled and torn tickets. True was asked to return to the Board in two or three months with separate numbers on jams occurring when tickets are purchased and when they are cashed and with recommendations on how to further reduce the total number. This entry was posted in NL List, The Biz and tagged amtote, California Authority of Racing Fairs, California Horse Racing Board, chrb meeting, decreased handle, Del Mar, handle down, john van de kamp, Pleasanton, rick baedeker, santa anita by Press Release. Bookmark the permalink.